It’s like paying for a new Mercedes and getting a 20-year-old Ford. Cost is the elephant in the room that no one wants to talk about in the current healthcare debate. 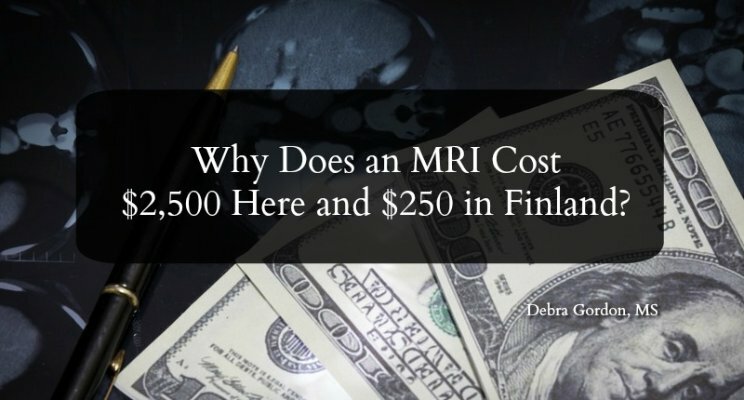 The cost of medical care is what’s behind the cost of health insurance. If it costs 5 percent more to provide medical care than it did last year, then of course your insurance company (and employer) is going to charge you more. Blame spending, not the Affordable Care Act. (Having said that, the insurance companies are making out like bandits these days). According to the health policy journal Health Affairs, we spent an average of $9,695 per person on health care in 2014. This means that the average household of 2.54 persons spent, on average, over $24,625, or about 46 percent of its income (based on the median household income in the United States in 2014). Don’t expect things to get better. Estimates from the Office of the Actuary at the Centers for Medicare and Medicaid Services (CMS) project an average rate of national health spending growth of 5.8 percent for 2015–25, exceeding the expected average growth in gross domestic product (GDP) by 1.3 percentage points per year. As a result, the health share of the economy is projected to be 20.1 percent at the end of this period, up from 17.5 percent in 2014. These numbers have been climbing for more than 20 years. Blame our byzantine system of paying for health care, which is still rooted in an outdated fee-for-service system. In other words, healthcare providers are primarily paid for what they do. The more they do, the more they earn. Unlike any other sector of the economy, health care does not operate under the typical cost and demand rubric, in which costs go down as demand rises. The only area in which that happens is in services that insurance doesn’t cover – like cosmetic procedures. That’s why I just got an email from a plastic surgeon offering me discounts on facial fillers (don’t ask!) – because there’s a lot of competition where I live. That’s also why the price of Lasik eye surgery has plummeted since the procedure was first offered. When it comes to medical services, however, numerous studies find that costs are higher in areas that have a surplus of providers. Go figure. One reason prices make no sense in health care is that, until recently, the consumer of health care (that’s us) didn’t care what something cost. If we had insurance, we paid very little out of pocket. That, of course, is changing as more of us wind up with high deductible health plans. For the first time, we are asking about costs and shopping around. For instance, did you know that if you live in Canton, Ohio you can get a pregnancy screening ultrasound for $183, about three times less than the $522 it will cost you in Cleveland. If I have to pay that myself, I’ll drive the 60 miles. 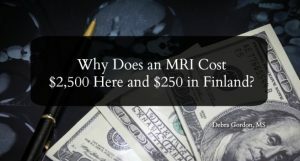 You can read about similar cost differences for more than 200 other medical services and procedures in this eye-opening article from Health Affairs. The fee-for-service paradigm is also starting to shift, at least in the Medicare world, where more than half of providers are now paid under a value-based reimbursement system. In other words, their compensation is based on how well they do (outcomes) and how cost-effectively they do it. For that, you can blame the ACA, which put into place many of the mechanisms for this shift. Let’s see if they survive the Republican plan. In the meantime, ask your congressman and senators a simple question: What, exactly, does the proposed plan do to reign in medical costs? If they are honest, the answer will be nothing. So those 24 million people who will lose or opt out of health insurance? Get your wallets open.